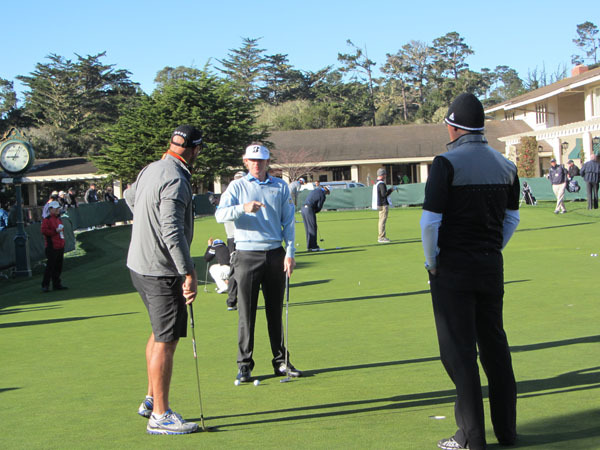 On Sunday, I had the privilege of attending the AT&T Celebrity Pro Am golf tournament at Pebble Beach. Watching celebrities and professionals play golf on arguably the most beautiful course in the world makes for a pretty cool day!! 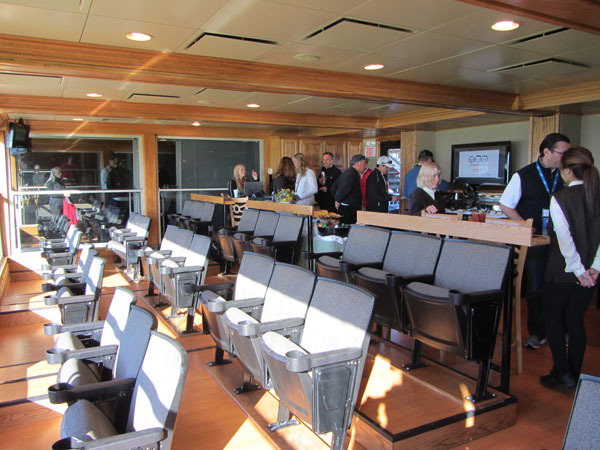 I manage my company's marketing relationship with Intel Corporation so they invited me to spend the day at their sky box. 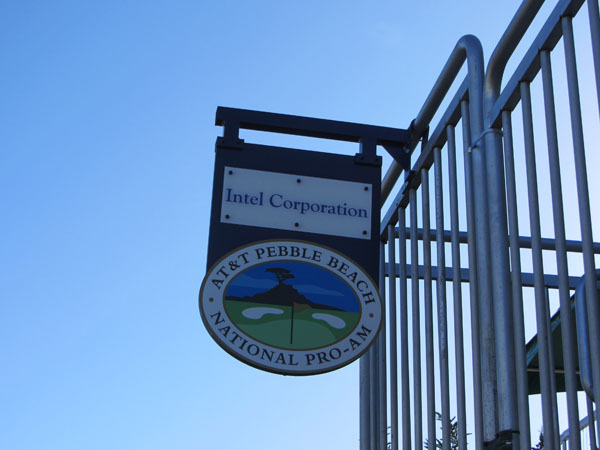 Those folks at Intel sure are nice people! The nice thing about hanging out with Intel is that you know everything is going to be first class! Their skybox overlooks the 18th hole right before the green, but it was too nice of a day to sit inside so we spent most of our time on the roof. 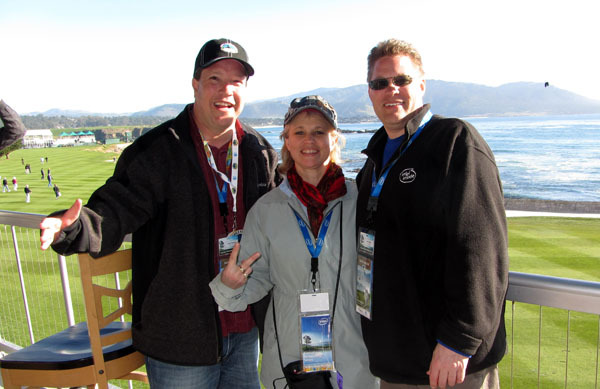 Jeff and Diana joined me at the railing as we cheered on the players while they finished their round. I wanted to heckle a few of them, but figured that wouldn't be polite to our hosts. 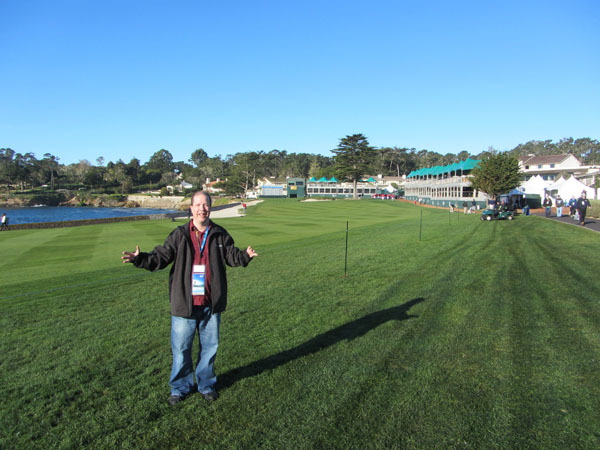 Early in the day, I walked around the course taking pictures. Technically cameras aren't allowed during the tournament, but I didn't think they'd mind. 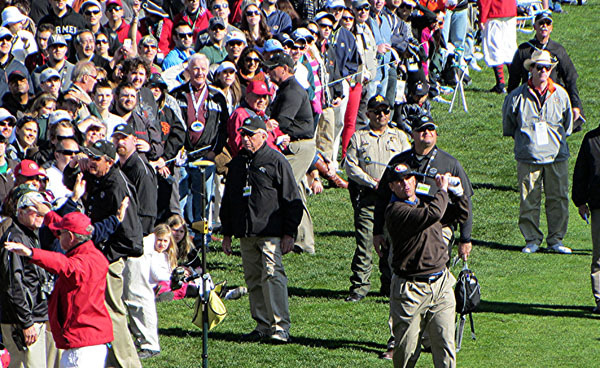 I did get chastised by one of the security people while I took these photos of eventual champion, Brandt Snedeker. I knew I'd have to be sneaky, sneaky for the rest of the day otherwise my camera may have been confiscated. So let me understand something. 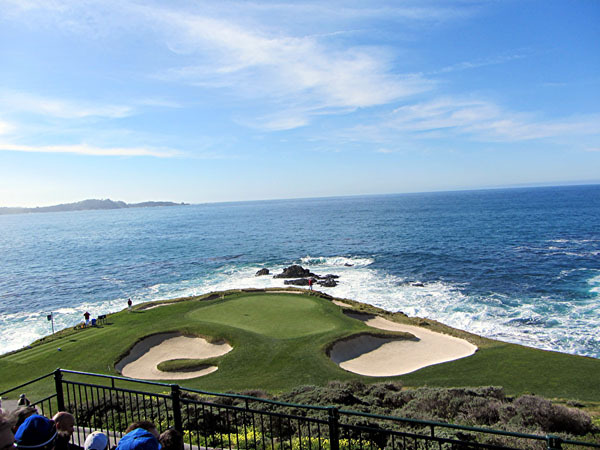 You have the most photogenic golf course in the world along with professional golfers and other celebrities playing on it and you want me to not bring a camera? Sorry. I just can't do that. 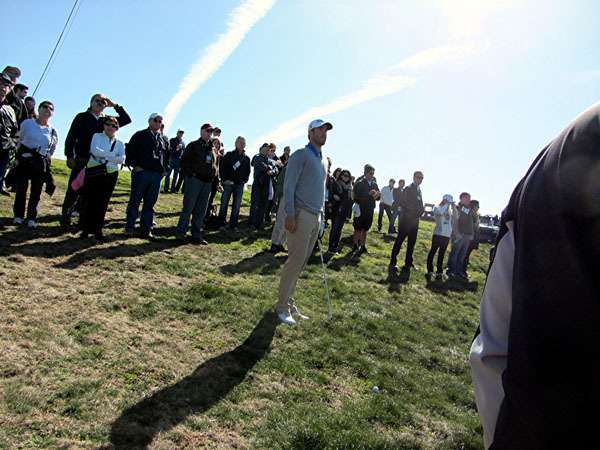 I stumbled across Detroit Tiger's Pitcher, Justin Verlander, after he shanked one into the rough. San Francisco 49ers Coach played in the tournament only a few short days after losing the Super Bowl. I kept wondering to myself if we would have made the cut on the final day if his brother had been playing. 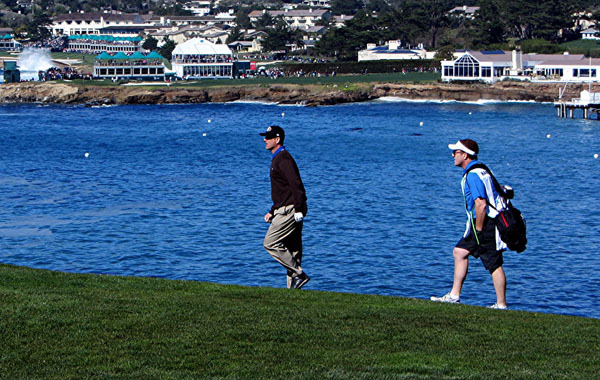 I caught him again at the Sky Box when he made his approach towards the 18th green. I did have to give the guy credit. This course is incredibly challenging and he played it four days in a row! I can't imagine he'd had a lot of time to practice lately. 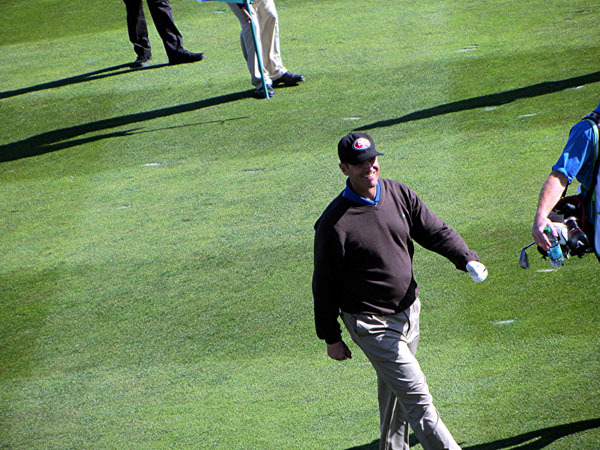 I probably took more pictures of Jim Harbaugh than any other celebrity that day which I think made him kind of happy. 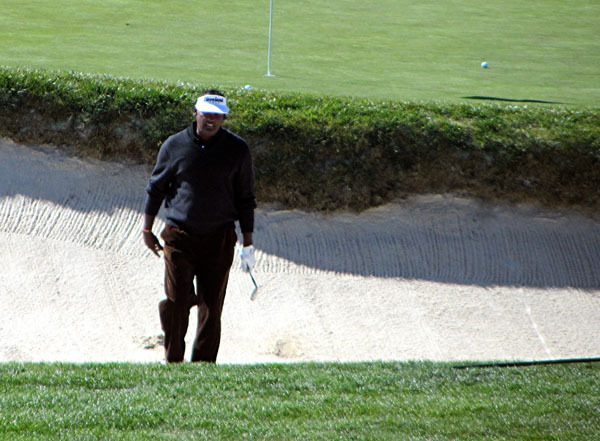 Vijay Singh in the Sand Trap. 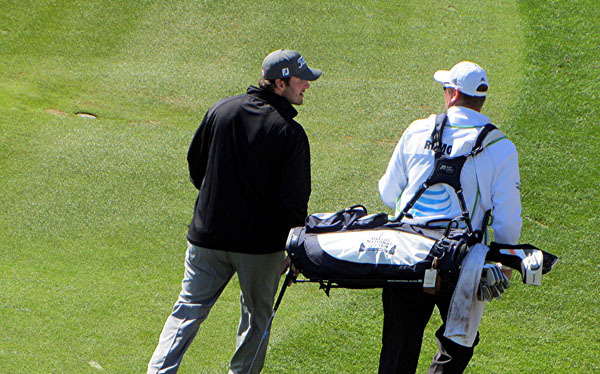 Dallas Cowboy's Quarterback, Tony Romo, walked right below me as he finished his tournament play. 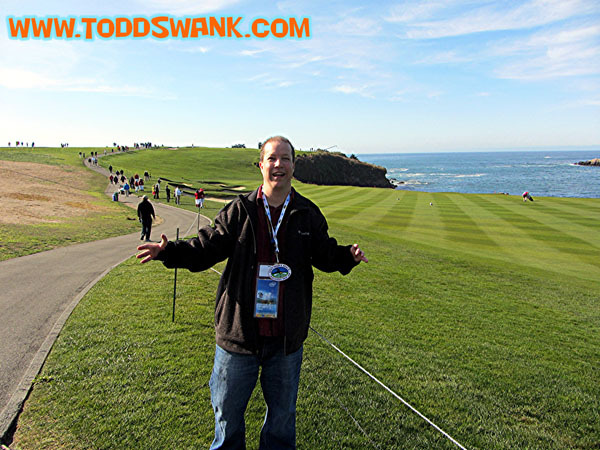 Tony had an incredible set of games and scored 21 below par for the tournament. This would have placed him ahead of all the pros if he would have been playing from the same tees that they were. Pretty impressive. I guess we know what he'll be doing after he finishes his football career. I hung around for awhile after the tournament was over and was pleasantly surprised there weren't many people left around to watch the awards ceremony. 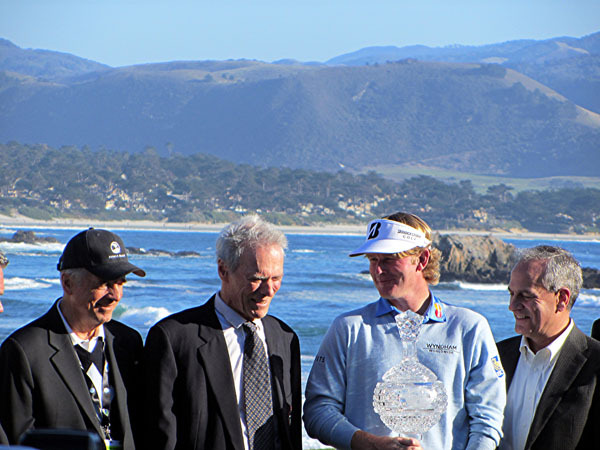 Clint Eastwood was there to award Snedeker his trophy which was really awesome to see. 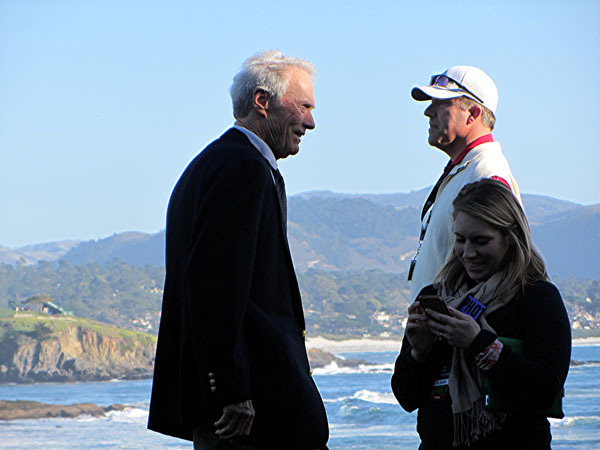 I must admit, I was a bit taken aback when I stood close to Mr. Eastwood. All of my life I've watched his movies and always pictured him to be a massive guy. Now maybe it's his age, but I was really surprised to see that he was no taller than I am. It was a bit unsettling and I kept imaging that perhaps his head had been removed and placed on some small guy's body. The crowd eventually dissipated, but I kept lurking around. 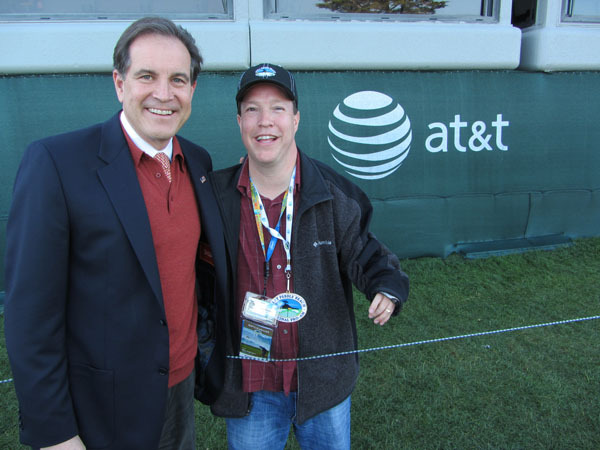 I found myself nearly alone with Sportscaster, Jim Nantz, who had just called the tournament for CBS. Naturally, he wanted to get his picture taken with me!! 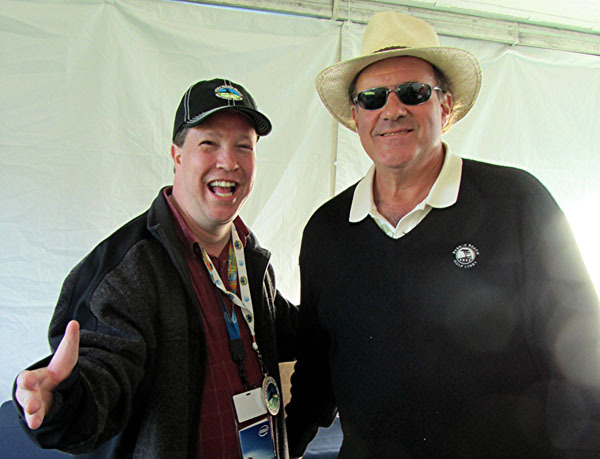 Chris Berman was also nice enough to get a photo taken with me. Although at the time that we took this, I had the impression that he was feeling no pain. So I'm not sure if he remembered me the next morning, but I'm hoping he did.